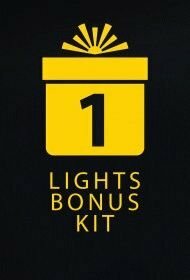 Pick your bonus NOW! Just become a member at styleflyers.com and choose your bonus. We offer you several great kits that will help you in your work. Designers used effects or elements they made earlier to speed up the process of creating something. This is true for flyers designing as well. It is good to have a set of effects that you can use to change a flyer. Designing is a time consuming and difficult process and you may have a feeling that your templates still misses something. It is easy to fix with a nice effect. Effects can change the whole image and make it more appealing and attractive. The team of styleflyers.com designers knows that creating of a flyer template is a difficult process. Designers of styleflyers.com want to help you out and make designing easier and speed it up. Subscribing, you will have an opportunity to choose a bonus kit. To get it, you need to subscribe, write us a message stating your order number, the kit you want to get and your e-mail. A bonus kit includes high quality effects, which are able to change the flyer template completely and make it better. Styelflyers.com offers four kits – a lights kit, a color correction kit, glow and adjustment kits. The kits are perfect for designers who work on flyers, as they can speed up the process and make the flyer amazing and unique. Designing a flyer, you may want to get the result as soon as possible, but it is hard, especially if you make everything from scratch. Styleflyers.com kits are made by professionals for professionals.